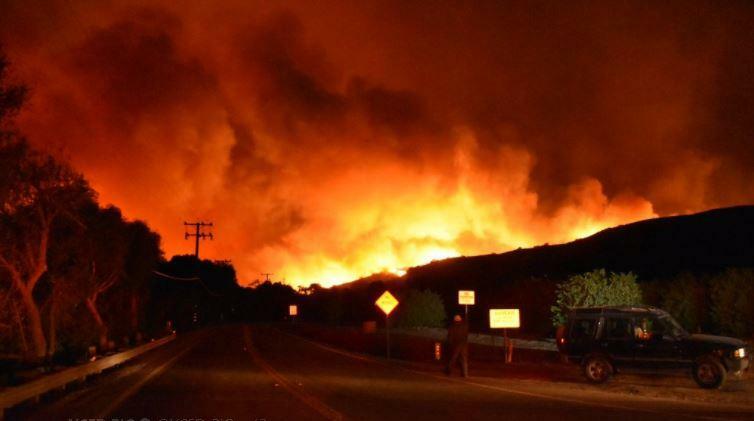 "The fire growth is just absolutely exponential," Ventura County Fire Chief Mark Lorenzen said. "All that firefighters can do when we have winds like this is get out ahead, evacuate people, and protect structures." According to abcNews winds exceeding 40 mph and gusts over 60 mph have been reported in the area and are expected to continue, the National Weather Service said. Thousands of homes were without power in the area. In October this year, 23 people died along with 3,500 structures destroyed and 20,000 people evacuated as the deadliest wildfire in California history claimed 170,000 acres. The fact that more than a hundred million dead trees have been monitored in California does not help the situation.